Gill is an award-winning teacher, who teaches from her studio in Maidenhead, England as well as nationally at the Festival of Quilts and other events each year. Gill splits her time teaching weekly classes to children, teens and adults and designing new projects to share with her sewing community in person and online. GillyMac Designs Sewing Classes are a warm friendly environment equipped with the latest tools to help you succeed with your sewing goals. Gill teaching style is relaxed and informative and her studio classes are always fuelled by her home baking. Once you have taken a class with Gill, you will be invited to join the free GillyMac Club. The club is an uplifting community of home sewists who meet in person and on line to share projects, tips and pictures of their creations and to learn further from Gill and each other. 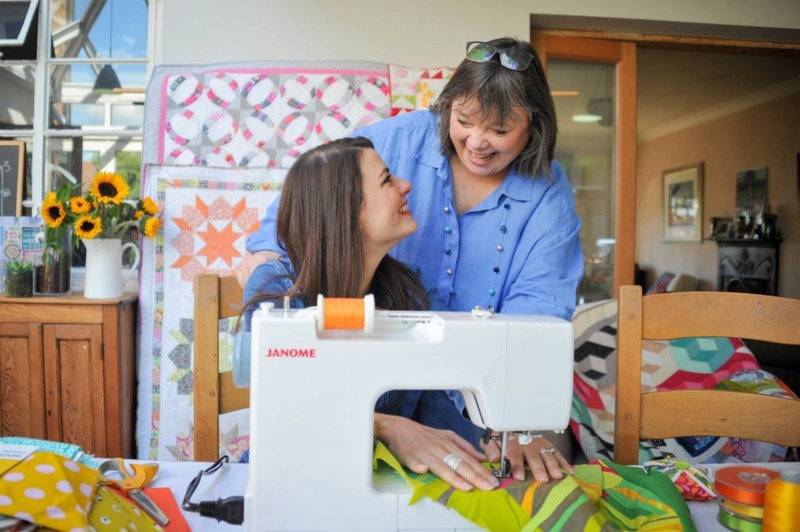 When sewing with GillyMac your confidence in your own ability will grow whilst Gill helps you achieve each of the sewing goals you have set yourself. Have a look at the Adult Class Opportunities here. Have a look at the Children/Teen Class opportunities here. Class Terms and Conditions can be found here.